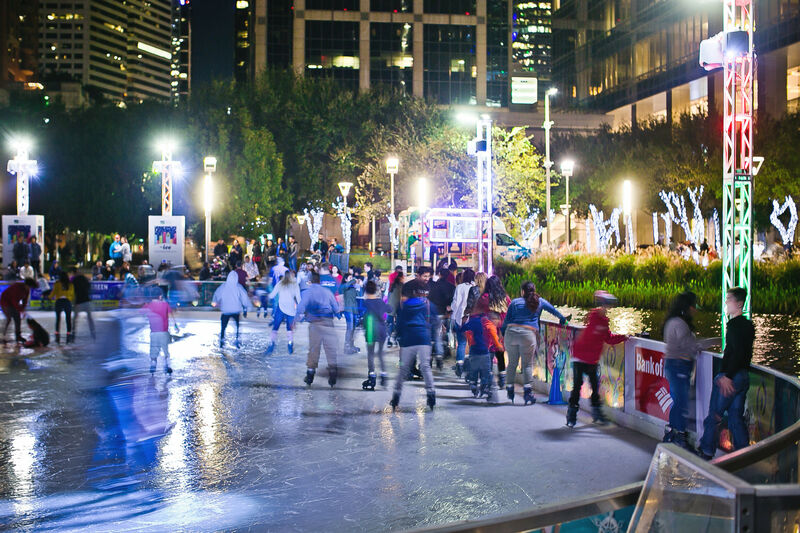 Here's a Houston winter for you in a nutshell: This weekend, your kids can go ice skating with Santa after an afternoon spent kayaking—all in the same body of water. 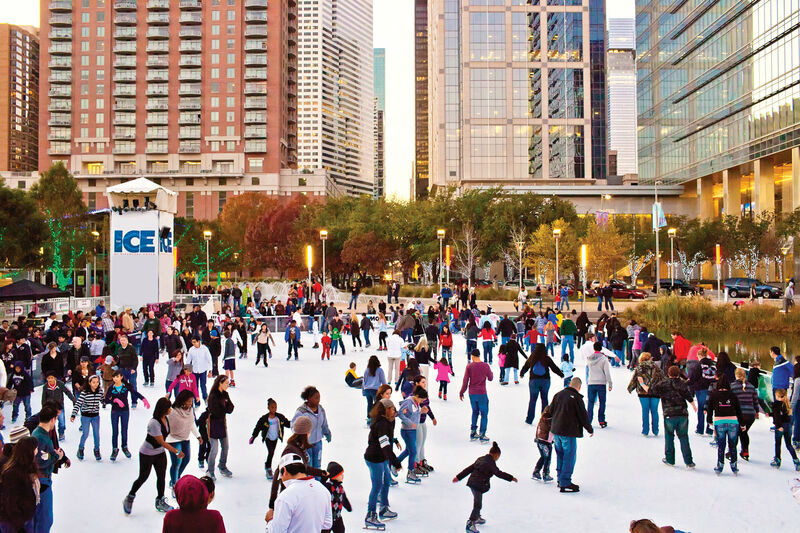 Discovery Green is hosting Skate with Santa this Saturday, December 17 from 5 to 6 p.m. For $14 (which includes the cost of skate rentals), you'll be able to glide or scoot awkwardly—whichever is closest to your true skating style—across the ice with the man in the red suit himself, who'll be posing for pictures between bouts of trying not to fall as kids cling to his belt. 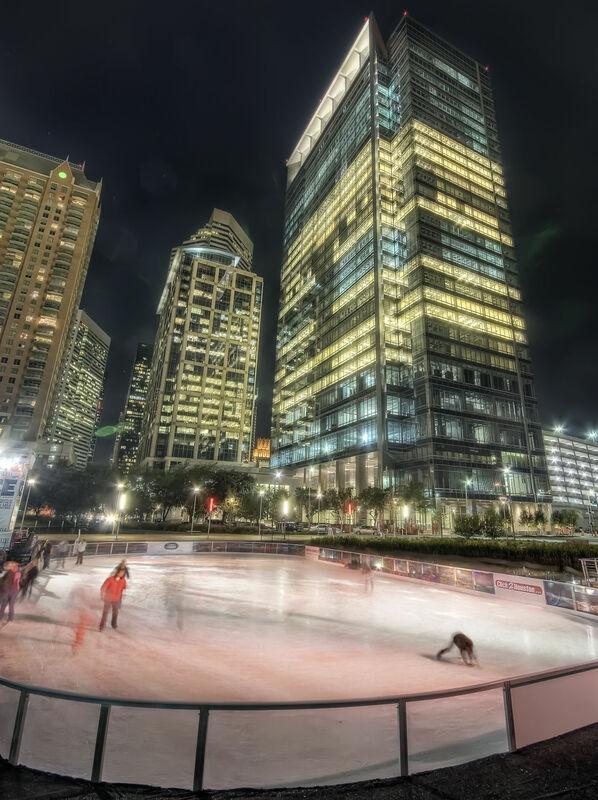 But because only a portion of Discovery Green's Kinder Lake is transformed into an ice rink for the holidays, a good two-thirds of it retains its regular, watery form—which means kayaking on the lake is still happening on Saturdays and Sundays between noon and 5 p.m.
Kayak rides are $5 per person and children are allowed with or without a parent as long as you've signed a release form. Each kayak holds either two children and a guide from Bayou City Adventures or one adult, one child and a guide. 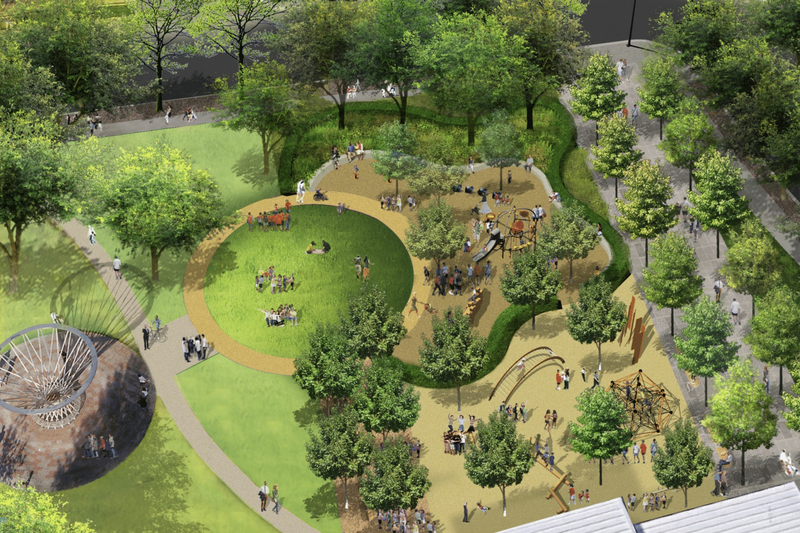 (Or one adult and one guide; you don't have to have children to participate.) Life vests are provided and required. 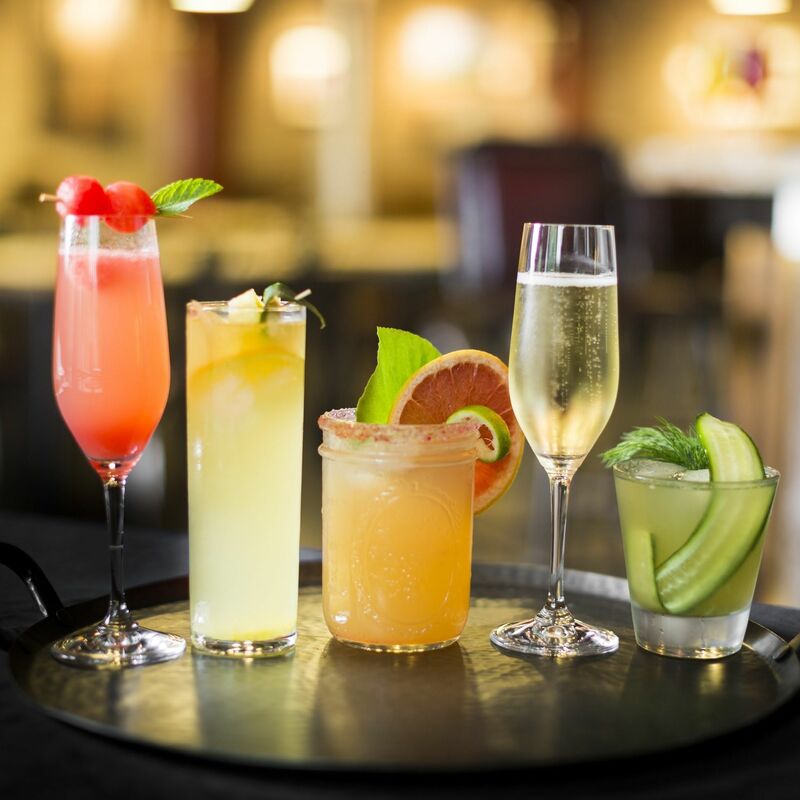 After kayaking and Santa-skating, we suggest walking across the street to Phoenicia's in-house restaurant, MKT Bar, where the kids menu includes not just classic Shirley Temples but also the less-seen Roy Rogers—which we hear pairs perfectly with a plate of mini hamburgers and shoestring fries. Don't forget to reach peak Houston winter and celebrate the holiday humidity with a cup of something cold: at MKT Bar, that something cold is gelato served in a clown cup.